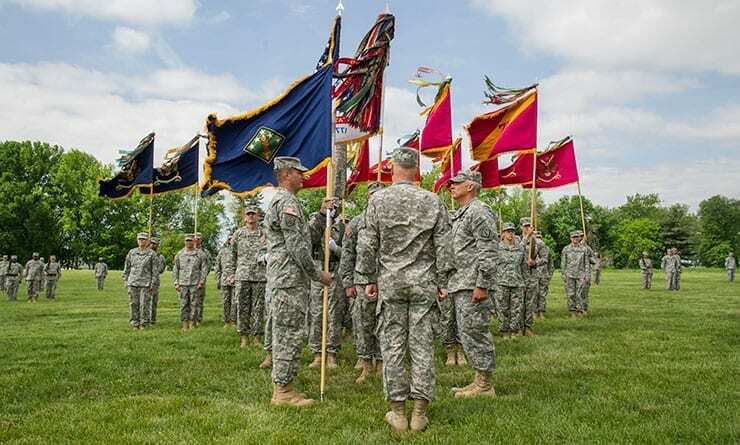 The U.S. Army’s 20th CBRNE Command (Chemical, Biological, Radiological, Nuclear, Explosives) conducted a change of command ceremony on Aberdeen Proving Ground, Md., May 20. Brig. Gen. JB Burton relinquished command of the 20th CBRNE Command to Brig. Gen. William E. King IV. Headquartered on Aberdeen Proving Ground with Soldiers and civilians on 19 posts in 16 states, 20th CBRNE Command is home to more than 85 percent of the Active U.S. Army’s CBRNE capabilities. The 20th CBRNE Command trains and operates with joint, interagency and allied partners around the world to combat the full range of chemical, biological, radiological, nuclear and explosive hazards. 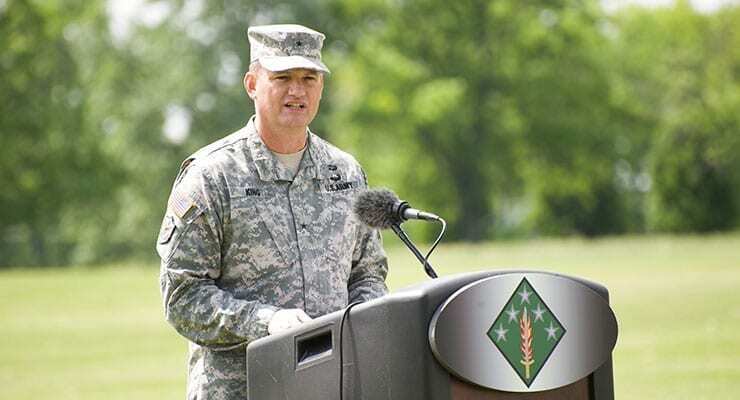 A native of Tullahoma, Tennessee, and 31-year Army veteran, Burton has led the 20th CBRNE Command since May 2013. During his two years in command, Burton focused on instilling an expeditionary mindset into his formations by conducting emergency deployment readiness exercises, integrating his units into combat training center rotations and establishing the CBRNE Leaders Course. In support of the U.S. Army’s regional alignment efforts, Burton aligned his subordinate units with different geographic areas. The Fort Campbell, Kentucky-based 52nd Explosive Ordnance Disposal (EOD) Group deploys on Global Response Force missions; the Fort Carson, Colorado-based 71st EOD Group covers the Asia Pacific region; and the Fort Hood, Texas-based 48th CBRN Brigade serves in Europe, Africa and the Middle East. Burton praised his Soldiers and civilians for their accomplishments during the last two years, from combatting Ebola in Liberia to defeating improvised explosive devices in Afghanistan to conducting remediation missions across the United States. “It has been my distinct honor to stand in the ranks with you, to share this adventure with you and to build this command’s capacity with you,” said Burton. A former 20th CBRNE operations officer who earned four masters degrees, King previously served as the assistant deputy chief of staff, G-3/5/7 (Readiness), for U.S. Army Forces Command on Fort Bragg, North Carolina. “If you watch the news, you know the enemy is becoming more dangerous and more likely to use these weapons of mass destruction and disruption. But I am confident you are ready, willing and most able to combat this threat and I cannot fully express to you how honored I am to rejoin this unit and continue as a member of its great legacy,” said King, a Chemical Corps officer who has served in a wide variety of command, leadership and staff positions. Article courtesy of Walter Ham, 20th CBRNE Command, edited for context and format.